the mountain (living in the Yukon, Tanana and Kuskokwim basins). The historical first European sighting of Mount McKinley took place on May 6, 1794, when George Vancouver was surveying the Knik Arm of the Cook Inlet and mentioned “distant stupendous mountains” in his journal. 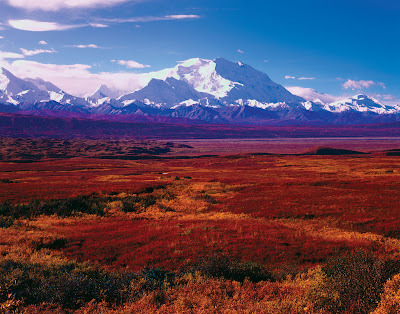 The Russian explorer Lavrenty Zagoskin explored the Tanana and Kuskokwim rivers in 1843 and 1844 and was probably the first European to sight the mountain from the other side. William Dickey, a New Hampshire-born Seattleite who had been digging for gold in the sands of the Susitna River, wrote, after his return to the lower states, an account in the New York Sun that appeared on January 24, 1897. 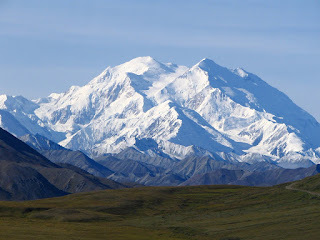 His report drew attention with the sentence “We have no doubt that this peak is the highest in North America, and estimate that it is over 20,000 feet (6,100 m) high.” Until then 18,000-foot (5,500 m) Mount Saint Elias was believed to be the continent’s highest point (Mount Logan was still unknown and Mount St Elias’ height had been overestimated to beat Pico de Orizaba). 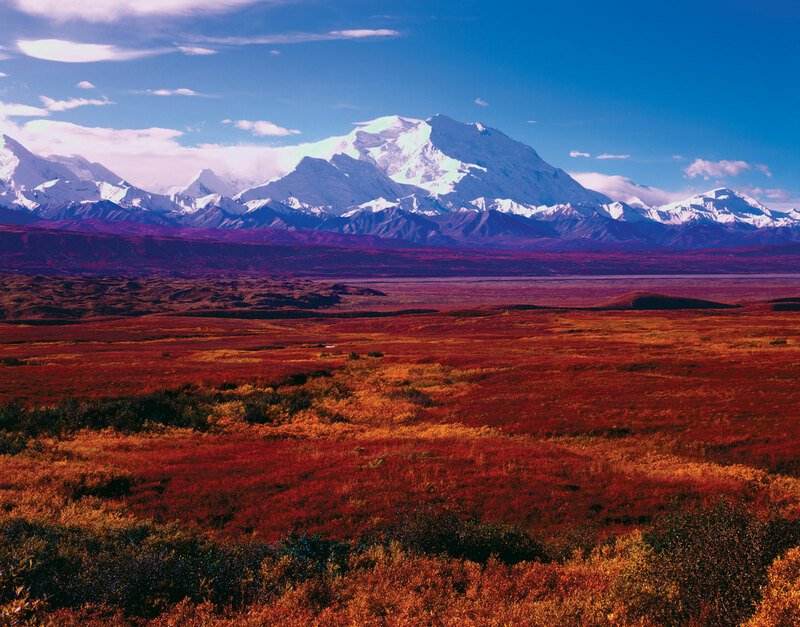 Though later praised for his estimate, Dickey admitted that other prospector parties had also guessed the mountain to be over 20,000 feet (6,100 m).